We had so much fun with this at Bitnorth, I decided to turn it into a multiplayer game. It’s always hard to get a group interacting, particularly when the subject matter is dry or the participants don’t know one another. Icebreakers are always a good way to start things, and at Bitnorth we’ve tried lots of them—from building things with Spaghetti, to laughing yoga, to Tequila tasting, to making tiny movies, to gameshows. Some of these games have found a life of their own: here’s Twitter’s Biz Stone doing one of them at the company’s first developer conference. At Bitnorth 2009, we had a gameshow. It was a lot of fun, and full of inappropriate outbursts. One part of the game combined the mechanics of Family Feud with the weirdness of Google’s suggested results. It was enough fun that I decided to turn it into a full-blown game app. Will Stephens turned the basic idea into a multi-screen web app running on Google App Engine. We tried it out at Foocamp 2011, made some tweaks, and opened it up. So without further ado, I give you: Suggestfeud. For now, it’s running on the good graces of Google’s free App Engine quota, and hopefully won’t wind up costing me money. It’s an amazing icebreaker for a room, and you can tailor the topics to a particular industry or organization for maximum hilarity. A moderator controls a projector display, which shows a search topic. Two teams of 1-6 players have to guess what Google suggests as the remainder of that search topic. When a team member yells out a correct answer, they get a point. Here’s a cheatsheet (click on the images to enlarge.) Details below. Go to Suggestfeud and create an account. 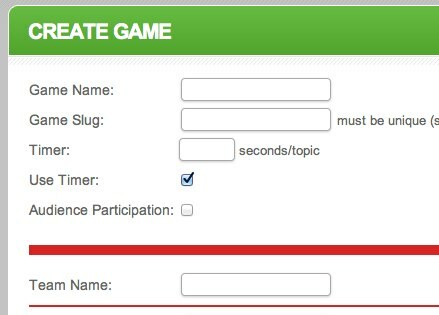 This allows you to save games and favorite questions. The amount of time per topic (45 seconds works well) and whether or not to use the timer. You can instead leave timing up to the moderator. Whether to allow audience participation. 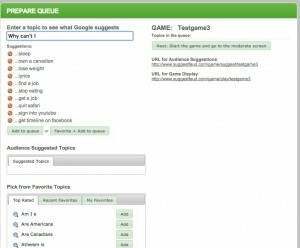 If you do, then audience members can propose funny search topics through a mobile web interface. 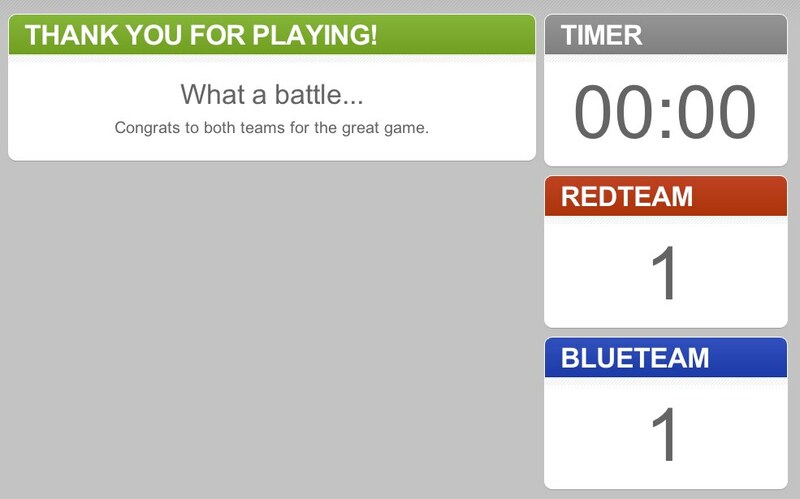 You can also name the two teams (“Red” and “Blue” are the defaults) and team members. The next screen has a lot going on. Relax; it’s pretty simple. This is the moderator screen, which is where you’ll drive the game from. You can type in topics to see what Google’s top ten suggestions are. 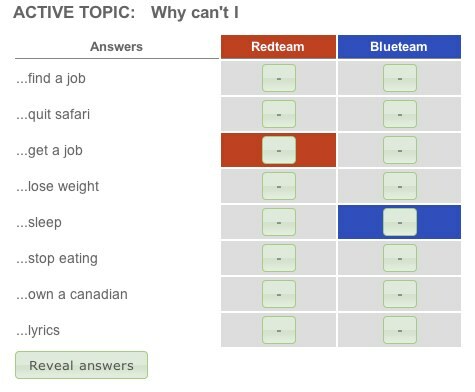 You can see topics the audience has suggested. Each time you enter a topic, you see all Google’s suggestions. If there are some which are redundant, or inappropriate, remove them from the list by clicking the little red circle next to them. 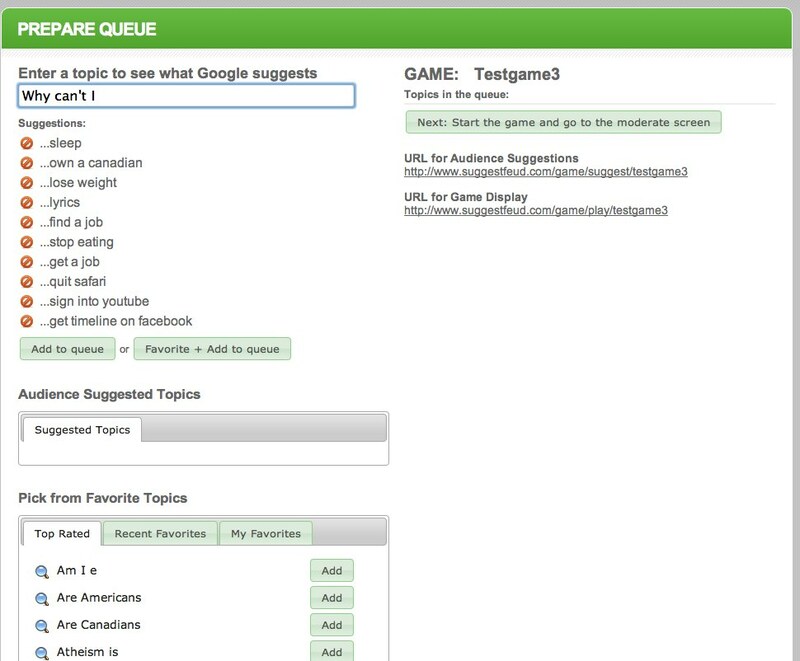 Once you’re satisfied with a topic and the correct answers, click “Add to queue.” The game adds the topic to the list of queued-up topics. Over on the right-hand side are two URLs. The URL for audience suggestions is where audience members go to push topic ideas to you. You can tweet this out; it’s only shown if you’ve enabled audience participation. 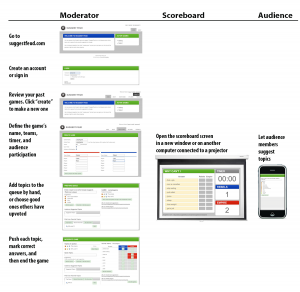 The URL for the game display is the “main screen” that the audience and participants will see. You should open it in a new browser tab and move it to the projector screen, or open it on another machine. You start the game by “pushing” a topic to the main screen. 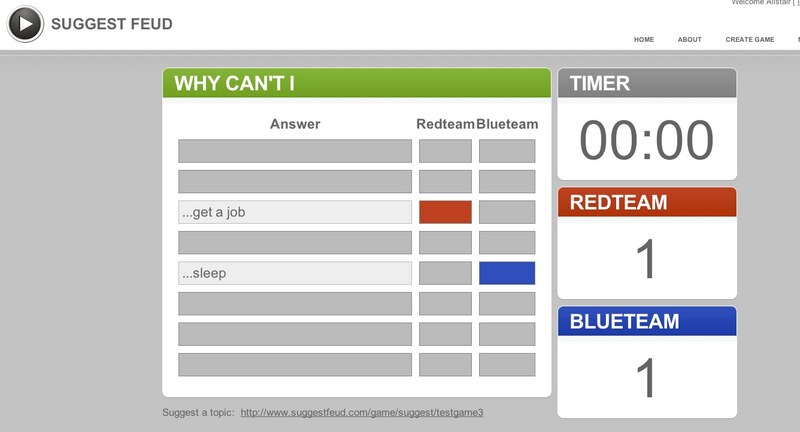 To do this, click “next topic” to the right of one of the topics in the queue. Now it’s up to the audience to guess Google’s suggestions. 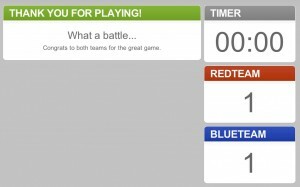 As soon as you push the first topic to the screen, you’ll get a display that allows you to mark a correct guess. When time’s up—or when you decide it’s time—you can click “Reveal answers” to show all the correct responses. You continue playing the game, pushing topics from your queue (on the left) or from the audience, until you’re done. 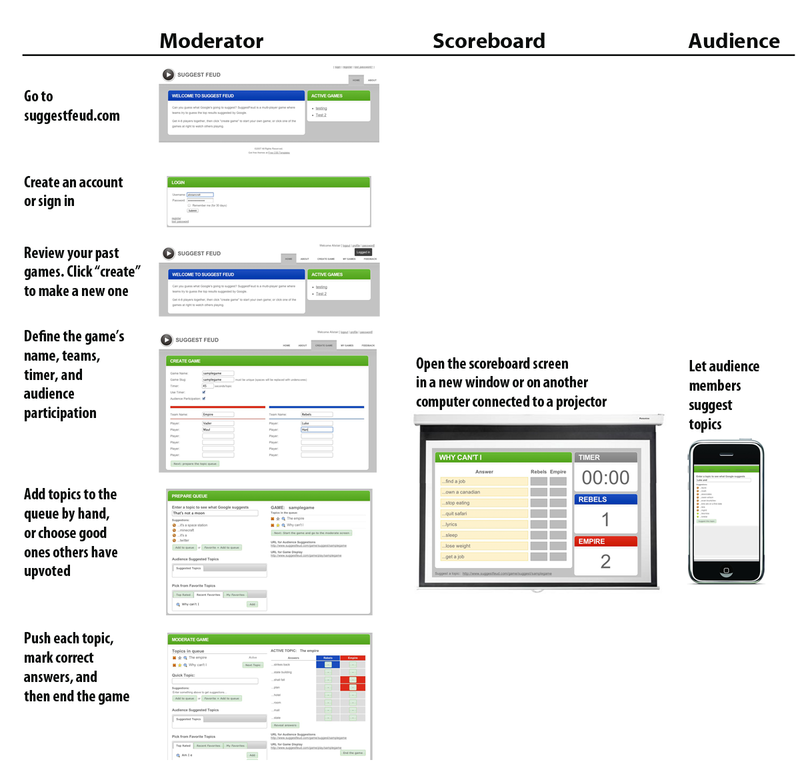 When you click “Finish the game” on the moderator screen, the audience display will change to show a final tally of the scores. If you have a topic you really like, you can flag it as a favorite. It stores it for future games. It counts as an upvote in the “popular” topics for everyone else to choose from. You can also access, and delete, your past games. This is useful if you get disconnected or need to switch computers while a game’s in progress. Try it the next time you’re looking to get people interacting, and let me know how it works out. This is absolutely brilliant. Thanks for building it! ← Hacker, hustler, designer … analyst?